Welcome to our bookstore! Please browse our titles below and click through for more information and to purchase. In today’s competitive job market, your resume needs to stand out. As the rules of modern resume writing are rapidly changing, knowing what to include in your resume to catch a potential employer’s eye is difficult. Should you include a picture? An objective statement? References? How exactly do you format a resume to make an impact? The writers at Inklyo.com have answered all of these questions and more in this comprehensive guide to resume writing. How to Write a Resume: The Complete Guide to Modern Resume Writing is full of proven tips and tricks for stocking your resume-writing repertoire with the techniques you need to stand out to employers. This guide will lead you through the process of creating a resume from scratch, selecting a resume format that is best suited to your background, and including all of the information necessary to demonstrate your skills and experience. With tons of examples and sample resumes to choose from, How to Write a Resume will teach you the principles you need to know and how to apply them to create your very own resume. You want to write great fiction, but your stories keep handing you your hat and slamming the door in your face. Not even a peck on the cheek or a doggie bag of leftover pastries with the icing starting to melt. Have you tried knocking on that door? Hitting it with large tree branches or plastic garbage cans? Shouting? It’s a sturdy door. You can’t break it down. It has eight locks, and the doorbell is broken. If you really want in (and it’s getting cold outside . . . do you feel that breeze picking up? ), you need some keys. Unlocking the Art of Fiction provides eight keys, one for each of those locks. Whether you need help coming up with winning ideas, chaining up the bogeyman that is writer’s block, understanding the tools of the trade, or finding your own voice and style, this book has the right key for you. Unlock the door. Step inside. There’s a story in this house, and it’s your story. It’s waiting for you. And it has a plate of fresh pastries. This book explains how to write an essay in five easy steps. This simple essay writing guide can be used by high school, college, or university students. How to Write an Essay covers the various kinds of essays, how to quickly research your essay, and how to organize your essay so your instructor can easily follow your thoughts. It delves into how to write your essay, how to write a thesis statement, how to use and format citations properly, and how to revise your essay to make sure you eliminate as many errors as possible before submission. And, this essay writing guide gives you bonus instructions on how to make your essay stand out. You’ll also see an example of a college-level essay that received the best grade in the class—to serve as a model of how to structure and write your next paper. Your essay writing skills will improve. Sail through your next college essay with this easy guide . . . and if your essay is due in the morning, this guide will help you get it done on time! Never be at a loss for words again. Learn to write a letter today. 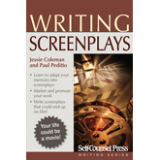 This ebook will help you write just about any letter you need quickly and effectively. Featuring step-by-step instructions, easy-to-use examples, and five key words and five key phrases for any occasion, this guide will make you feel confident about your letter writing skills. How to Write a Letter covers the mediums and methods of letter writing; digital communication and professionalism; and how to prepare, plan, and structure your letter. 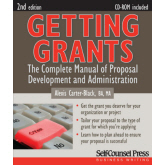 It also describes how to refine your letters with editing and proofreading. The topics discussed in this letter writing handbook are meant to help you create purposeful, convincing letters and attain your goals by enhancing your communication skills. By following the guidelines this letter writing book presents, your letters—either physical or digital—are sure to be a success. Whether you’re looking to write a thank-you note, a cover letter, an invitation, or a business email, this comprehensive guide to letter writing will walk you through the steps of creating thoughtful communication. It even includes a bonus section with tips on words and phrases to help improve your writing. Letter writing made easy! This blog book explains how to write a blog from beginning to end in seven easy steps. It is a useful guide for new bloggers, moderately experienced bloggers, or anyone who is interested in how to start a blog for individual or commercial use. We explain how to determine what niche your blog will be targeting, where your ideas fit into what’s already been done, and what type of blog is most suited to your interests. We look at the various paid and free platforms you can use for blogging and explain exactly how to get started with them. We provide hints for the research stage, help you to find a writing schedule that fits the goals you have for your blog, and discuss the various privacy issues involved in blog writing. We instruct you on how to manage your blog, including how to moderate comments, and help you understand basic search engine optimization (SEO) and other techniques to ensure your blog gets read. Whether you’re looking to write a blog for recreation or to make a little extra cash, How to Write a Blog will walk you through the entire process in seven easy steps—from selecting your topic to marketing your ideas. It makes blogging for beginners easy. As an added bonus, we’ve put together an extensive resource section that provides tools and resources that every blogger should know about. After reading How to Write a Blog, you’ll be ready to start your next project . . . and have the confidence to bring your ideas to life! Whether it’s a misunderstanding with your co-worker or a blunder with your boss, failure to communicate in the workplace can spell disaster for your career. Drawing on the advice of top business professionals like Jack Welch and Sheryl Sandberg, Effective Business Communication discusses the five fundamentals of good communication that can offset the common causes of failure. This business writing book discusses each fundamental in detail, offering practical examples and advice on how to apply them in your daily life. As a bonus, each chapter includes tips on how to improve your business writing skills in the workplace. Whether you’re a CEO or an entry-level employee just starting your career, Effective Business Communication will help you quickly and easily improve your business writing. More Great Writing Books from our Friends at Self Counsel Press!